5-HTP, or 5-hydroxytryptophan, is a precursor to the neurotransmitter serotonin - which is essential for controlling mood, sleep and pain levels. The body produces 5-HTP from tryptophan, an amino acid found in small amounts in high-protein foods such as chicken, fish, beef and dairy products. It can also be taken in supplemental form, in which case it’s extracted from the seeds of the Griffonia simplicifolia plant. 5-HTP is believed to help increase serotonin production in the brain, which may positively influence mood. 5-HTP may also help with other health issues related to serotonin deficiency, including nervousness, body tension and stiffness and head cavity discomfort. 5-HTP (5-hydroxytryptophan) is a metabolite (a substance produced by metabolism) of the amino acid tryptophan. You may know tryptophan as the substance in turkey that makes you feel like taking a nap after Thanksgiving dinner. 5-HTP is a direct precursor of the important inhibitory neurotransmitter serotonin, which is secreted in response to mood or emotion swings. Serotonin soothes and calms and brings about feelings of contentment. It is also the precursor to the antioxidant and sleep enhancer called melatonin, which is produced in the pineal gland by the conversion of serotonin. 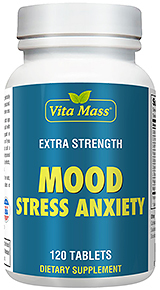 5-HTP has been shown in scientific studies to promote relaxation and alleviate stress and anxiety. 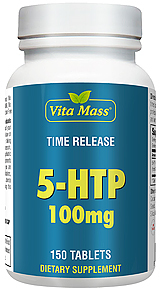 The relaxation and anti-anxiety properties of 5-HTP appear to come from its ability to elevate levels of serotonin. Research has demonstrated that 5-HTP may reduce the risks of panic attacks and symptoms of panic, as well as anxiety and emotional stress. Research also indicates 5-HTP may be effective in helping to alleviate depression. For decades, 5-HTP has been recognized as important to appetite regulation Higher levels of serotonin are linked to diminished appetite. Keeping serotonin levels from dipping can help keep appetite in check, and may help reduce cravings for carbohydrates As a serotonin booster, 5-HTP may help to suppress appetite. Research indicates that 5-HTP may be effective in helping people who are overweight or obese lose weight. Woke up refreshed and energetic after taking it. Seriously works!! I'm really pleased with this product and I hope it helps you as well! Good product performs as expected. Helps me sleep, I'm gonna be a continued customer for sure! !